It’s your first time visiting a hospital and you feel intimidated as you watch people headed in all directions. You know the patient’s name but not the room; so, you look for the reception desk. Instead of a person, you see a 4’ 7” humanoid. Patients and visitors of Hygeia Hospital in Athens, Greece, will be greeted by a new state-of-the-art robotic receptionist. The robot’s name is “Erato” and it has been programmed to receive patients and visitors in the outpatient clinic. Erato is able to communicate interactively, provide services and guide visitors and patients throughout their stay at the hospital. 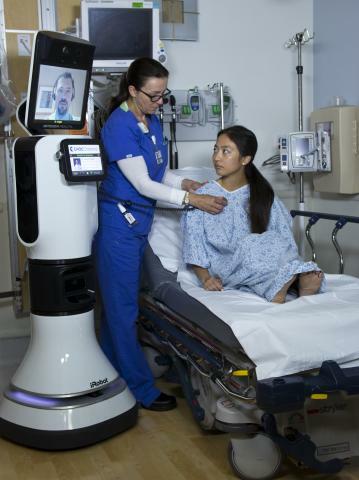 The virtual presence robot moves, speaks and communicates through the hospitals wireless internet network. Erato is equipped with a camera, microphones, sensors and a motorized remote-controlled platform with a balancing system that allows it to move with absolute safety around the hospital. Welcome to the hospital of the future! Not a local? That’s okay, the humanoid receptionist speaks 19 languages. The robot will not only provide information but it will guide visitors and patients to the correct floor and room. With a speed of just 1.8 mph, the robot can guide slower patients. Fully charged, it can work for up to 20 hours on its own. It can also determine whether it is speaking to a man, woman or child. One of the toughest jobs in the hospital is the moving and lifting of patients. It usually takes two nurses and can be a strain on the back if the patient is heavy. Weighing in at 308 pounds, ROBEAR is big for a robot; but Its main purpose is gently lifting patients from their beds with its comforting robot-bear arms. With the rapidly increasing elderly population, hospitals and nursing homes face an urgent need for new approaches to assisted care-giving personnel. One of the most strenuous tasks for such personnel—carried out an average of 40 times every day—is that of lifting a patient from a bed into a wheelchair, and this is a major cause of lower back strain. Look down the hospital hall, as the double doors open, revealing the Automaton. A white rectangular robot about four feet tall waits for the doors to fully part; then it cautiously begins to roll toward you, going the speed of a casual walk, while emitting a soft beep every so often to alert the humans around it to its very important job. The robot, known as Tug edges closer and closer. Arriving at a L-shaped corridor, it stops. It turns its wheels before accelerating through the turn, then suddenly halts once again, as a nurse is standing in its path. TUG is programmed to avoid breaking knees and stops should something be in its path. TUG delivers drugs, clean linen or meals while carting away waste, soiled sheets and trash. TUG travels about twelve miles a day, saving someone’s poor tired feet. If the battery runs low, TUG will head for the nearest charging station and get a needed boost for its battery. Down in the kitchen, the cooks—who aren’t robots—fix meals and loads them onto a TUG, and using a touchscreen tells the robot where to go. TUGs use maps in their brains to navigate. Rolling down the halls using a laser and 27 infrared and ultrasonic sensors to avoid collisions, a TUG will stop well away from the elevators and call one down through the hospitals Wi-Fi. It’ll only board an elevator that’s empty, pulling in and doing a three-point turn to flip 180 degrees before disembarking. After it’s made its deliveries to any number of floors, it gathers empty trays and returns them to the kitchen, where it starts the whole process over again. There is a shortage of nurses. 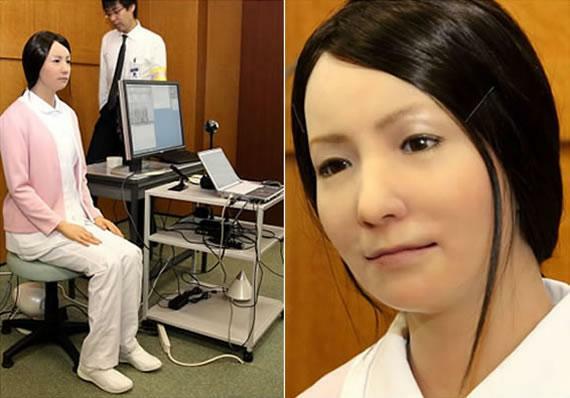 Many robotics companies are already creating robots that look and speak like human beings; and several forms of the “Robotic Nurse” already exist. Robotic nurses are robots that help patients physically move around or perform simple tasks like taking vital signs or delivering medicine. Some robotic nurses serve as interfaces for doctors to use over distances to communicate with patients. Still, a fully autonomous robot nurse does not yet exist because of the complexity in creating an ethical and error-free system. There are robots that can be controlled remotely by a doctor to navigate wards and communicate with patients and staff on wards where rapid access to expert advice is critical. 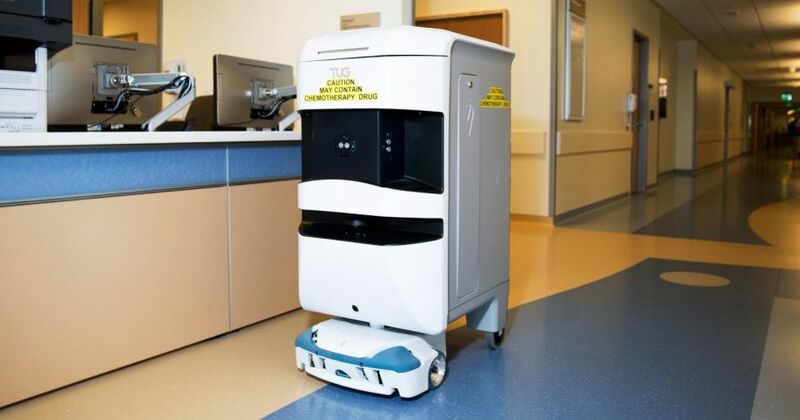 Nicknamed MURDOC (Mobile Unit Robot Doctor), the medical assistant travels up to 2 mph, can be easily steered down a hallway, or alongside a patient bed, and is equipped with infrared sensors to help the physician navigate. The robot allows physicians, patients, nurses and other staff to “virtually” interact and talk at a moment’s notice. The MURDOC raises the potential for patients to be treated by the doctor of their choice, even if he or she lives on the other side of the country. MURDOC is the next best thing to having a doctor come and talk to you. During a stroke, the loss of a few minutes can mean the difference between preserving or losing brain function. MURDOC enables a specialist to care for a patient without being distracted by the need to set up and manage its technological features. Some patients suffer extreme anxiety in a hospital environment. They can be a handful for the nursing staff. Now therapeutic robots are easing the pain for everyone. 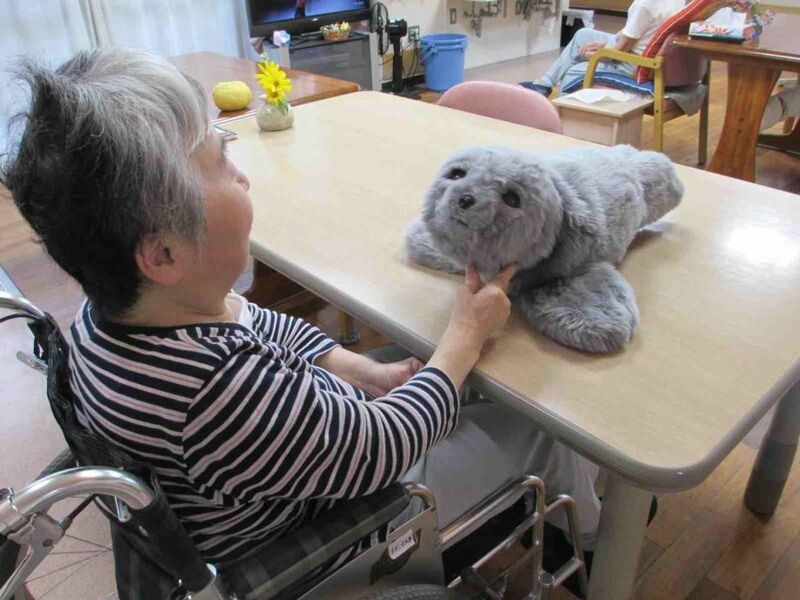 PARO is a therapeutic robot seal, with a white fluffy coat and cute eyelashes. He is a real calming influence for patients. PARO has been found to reduce patient stress. It stimulates interaction between patients and caregivers. PARO has been shown to have a psychological effect on patients, by improving the patient’s relaxation and motivation, while it improves the socialization of patients with each other and caregivers. PARO can learn to behave in a way that the user prefers, and to respond to its new name. As an example, if you stroke it, every time you touch it, PARO will remember your previous action and try to repeat that action to be stroked. If you hit it, PARO remembers its previous action and tries not to do that action. By interaction with people, PARO responds as if it is alive, moving its head and legs, making sounds, and showing your preferred behavior. PARO also imitates the voice of a real baby harp seal. Many patients fear the drawing of blood. Veebot combines the latest in robotics and imaging technology to ultimately speed up the process of drawing blood or inserting IVs. The patient slides his or her arm into an inflatable cuff, which acts as a tourniquet. An infrared light illuminates the inner elbow for a camera that searches for a suitable vein using software that compares the camera’s view against a model of an arm’s veins. Next, ultrasound confirms that the chosen vein has sufficient blood flow for a successful blood draw. Finally, the robotic arm aligns itself with the chosen vein and inserts the needle. The whole process takes about a minute, and tests of the Veebot show that it can correctly identify the best vein with approximately 83% accuracy, which is about as good as a human phlebotomist. The human phlebotomist still has a job, as test tube or IV bag needs to be filled, the arm disinfected and the puncture needs to be cleaned afterwards, and perhaps warn, “this is going to pinch a little”. Let’s take a quick look at the OR. 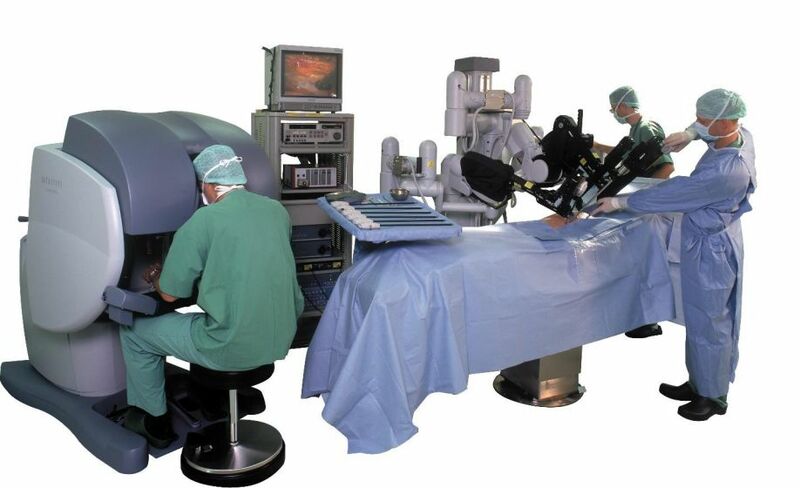 Surgical robots already make decisions and take independent action more often than you might realize. In surgery for vision correction, a robotic system cuts a flap in the patient’s cornea and plots out the series of laser pulses to reshape its inner layer. In knee replacements, autonomous robots cut through bone with greater accuracy than human surgeons. At expensive clinics for hair transplants, a small robot identifies robust hair follicles on the patient’s head, harvests them, and then prepares the bald spot for the implants by poking tiny holes in the scalp in a precise pattern—eliminating hours of repetitive labor. 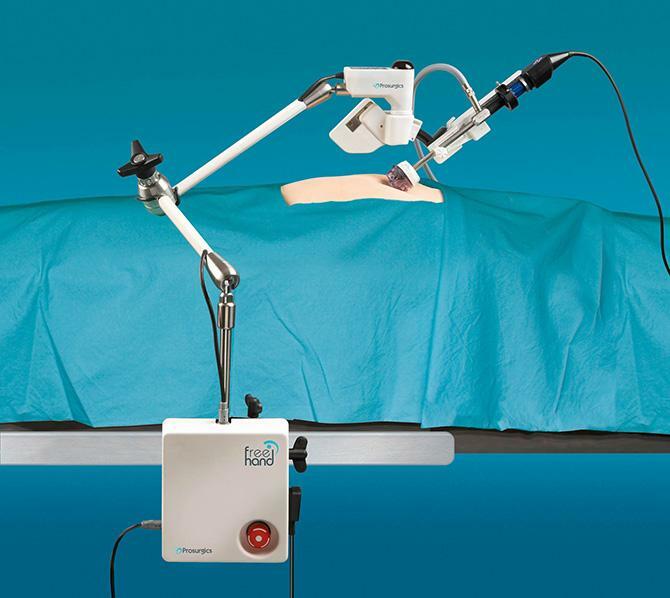 With the da Vinci robotic surgeon, the human surgeon in complete control; its arms remain inert pieces of plastic and metal until a doctor grasps the levers at the console. Robotics experts are already working to allow human surgeons to operate with increasing levels of assistance or guidance from a computer. The da Vinci surgical robot sitting in the corner is pretty good at suturing. 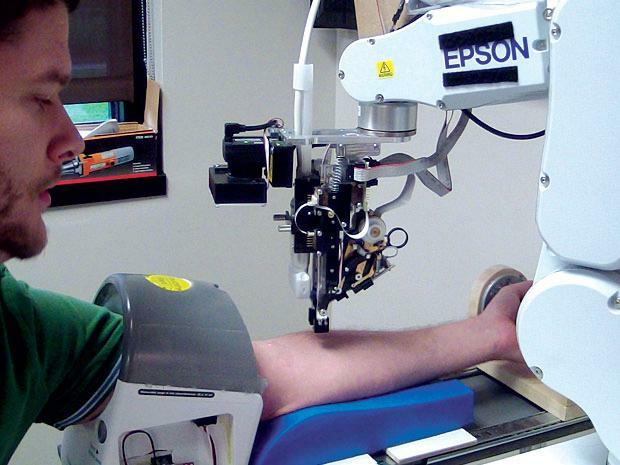 One robotic arm drives a curved yellow needle through two edges of a wound. 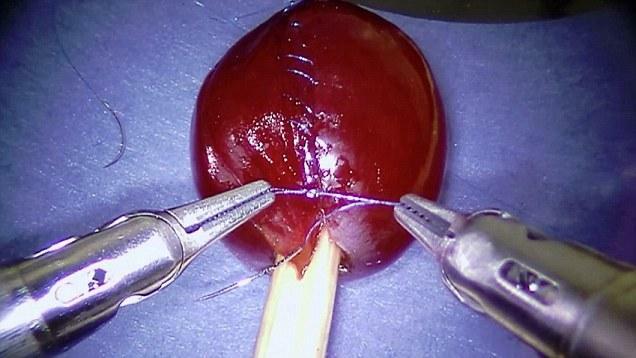 A second grasper pulls the needle as it emerges to tighten the thread. No human hand guides the arms’ motions, and no human brain plots their course. The autonomous robot then passes the needle back and starts the next stitch. There are new surgical robots, which have cameras that move automatically to give surgeons the views they want, as though reading their minds. The system includes an eye-gaze tracker that’s built into the surgeon’s viewing console and controls the endoscope, which is the thin fiber-optic camera that snakes into the patient’s body. As the surgeon scans the view screen, Alf-X moves the camera to keep the surgeon’s point of interest in the center of the frame. The surgeon’s eyes become the computer mouse. A increasing number of hospitals are installing robots that automate simple tasks or afford new ways for physicians to interact with patients.